Kate is recognised as one of Brisbane’s leading and most sought after Dietitians, being appointed as an Executive Committee Member of Dietitians Association Australia (DAA)’s Eating Disorder Interest Group. Kate is especially skilled in addressing client’s eating behaviour and relationships with food, claiming that “why and how a person eats is often more important than what they eat”. Kate is particularly passionate about assisting those with disordered eating and weight concerns to implement sustainable changes to improve their physical and mental health. 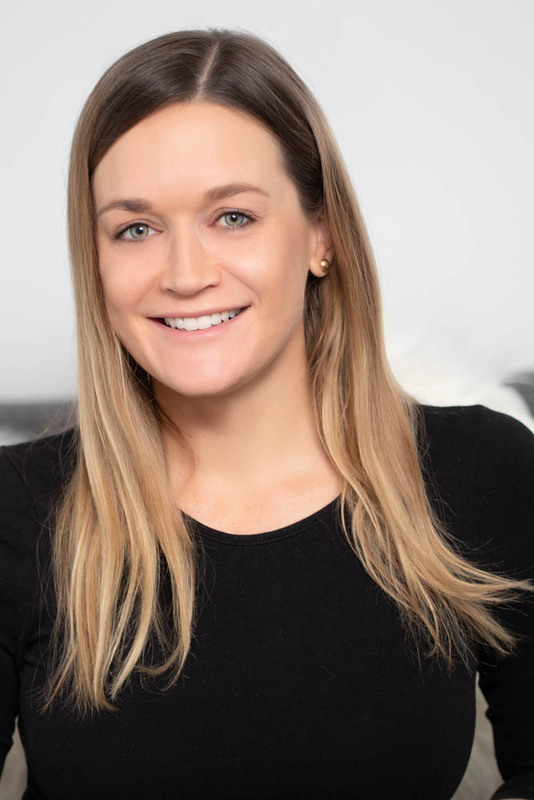 Kate has gained extensive experience working with a variety of populations and is the coordinator of the Mental Health Practitioners Network Brisbane Eating and Weight Management group, providing training opportunities for psychologists and allied health professionals. Kate supports our clinicians and administration team to provide the highest quality care to our clients and referrers. Hollis, J. Williams L. Young, M. Pollard, K. Collins, C. & Morgan P. (2014). Compliance to step count and vegetable serve recommendations mediates weight gain prevention in mid-age, premenopausal women. Findings of the 40-Something RCT. 83: 33-41. How are CFIH Dietitians different to traditional Dietitians? Traditionally, Dietitians are viewed as the food police. In your past experiences, your may not have felt heard or understood when seeing someone regarding your diet. Many clients describe their previous experiences with Dietitians as frustrating or pointless; simply being told what to do again and not taking into account the client's own knowledge, experiences and valid concerns about making changes to their eating. Many people fear coming to a Dietitian as they're afraid the Dietitian will make them feel guilty about what they do or don't eat. At CFIH, our Dietitians are different; they are Non-Diet Accredited Practising Dietitians who are passionate about working with you to improve your nutrition and overall health. The Non-Diet Approach is an evidenced-based approach that involves working collaboratively with you to relearn something you were born with; intuitive eating. Intuitive eating involves rebuilding trust with your body to reduce anxiety and fear associated with when to eat, what to eat and how much to eat. The non-diet approach helps to get you out of the diet cycle and heal your relationship with food and your body.